디자인에 대한 이해는 다양하고 폭넓은 지식과 풍부한 감수성이 필요하다. 그리고 디자인을 직접 체험할 수 있는 ‘기초 실습’들을 소개한다. 수강생들을 인터넷 강좌의 명전을 찾아 흥미로운 “ 디자인 이야기 ” 속으로 안내한다. Understanding of design requires a wide variety of knowledge and abundant sensitivity. To this end, this lecture introduces essays on various discourses of design, design grammar to help solving problems of design, and basic exercises to experience design directly. This course offers about 40 essay topics, 20 studio exercises, 20 experiments and very useful tips, 70 video tutorials, and 1,500 images. It has a three-dimensional structure with visual materials, and guides learners to an exciting "design story" thru outstanding internet lectures. 디자인의 문을 여는 과정으로, 디자인을 포괄적으로 조망한다. 수강생들은 디자인이란 무엇이며 또 디자인은 어떤 사명과 역할을 도모하는가에 대한 답을 얻을 수 있다. 디자인이 성립되기 위해 필요한 핵심적 화두들을 소개하는 과정이다. 수강생들은 이 과정을 통해 디자인의 전반적인 양상을 보다 쉽게 습득할 수 있다. 바람직한 디자인에 대한 열망을 가지고 있는 디자이너들이 간과하지 말아야 할 지침들을 소개하는 과정이다. 수강생들은 이 과정을 통해 보다 심화된 통찰력과 노하우를 습득할 수 있다. 주로 디자인 전반에 대해 꼭 알아야할 주제들을 소개한다. 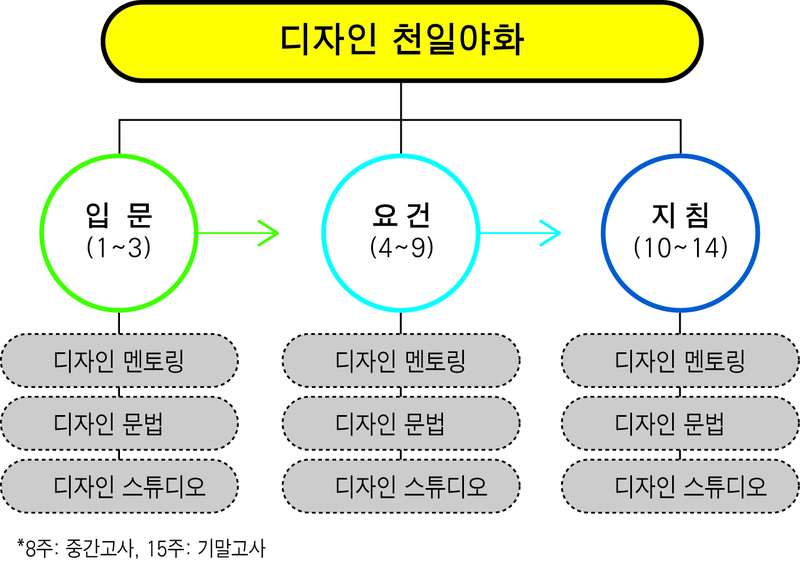 디자인의 기초 이론을 소개하는 꼭지이다. ‹디자인 멘토링›이 주관적 그리고 경험적 입장이라면, 여기서는 디자인을 객관적이고 체계적으로 다룬다. 디자인이라는 '추상의 세계'로 들어서는 과정으로 비교적 간단한 실습으로 체험한다. 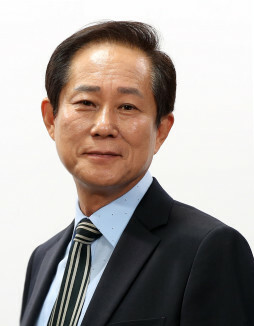 * 각 차시는 서로 연관성을 갖추고 있습니다. 뉴욕의 Pratt Institute 대학원을 졸업했다. 「그래픽디자인 새로운 기초」 등 다수가 있다.